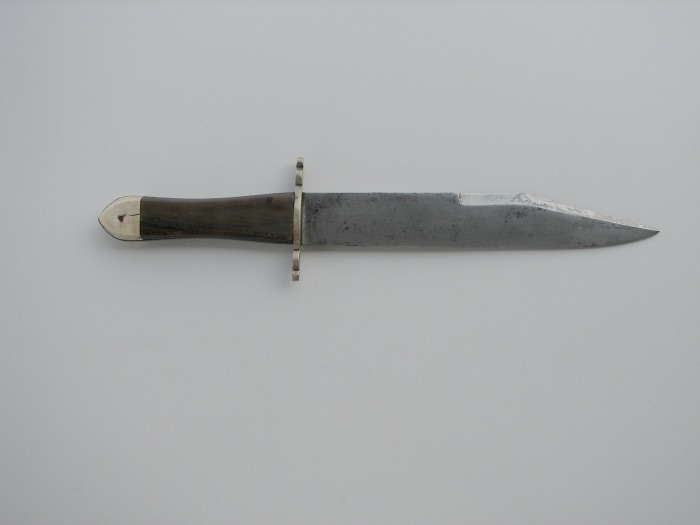 Circa 1850, unmarked Bowie Knife attributed to Woodhead, Sheffield. 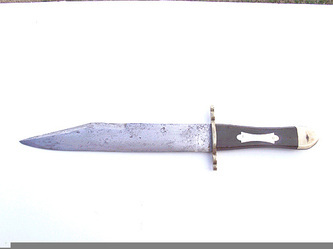 German silver crossguard with horn and bone hilt set with escutcheon plate. Blade length 8 1/2", Total 13 1/2". No Sheath.